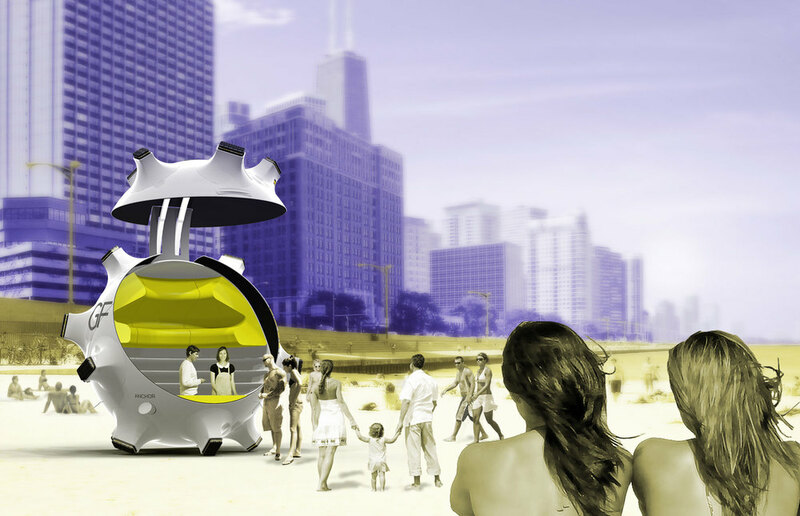 Rol-Lo is an all-terrain mobile vending sphere that sits in the park, moves through the city, and rolls down the lakefront. It invites curiosity from pedestrians to catch a glimpse of the spectacle. Moving from place to place it’s a hybrid between a baseball, a piñata, and a sports car. Rol-Lo’s heritage is rooted in the automobile with integrated lights, ventilation, and a high lift hatch. The outside might be a lustrous shell, but the inside is all comfort and utility with 270-degree wrap-around shelves, built-in seating, and countertop. 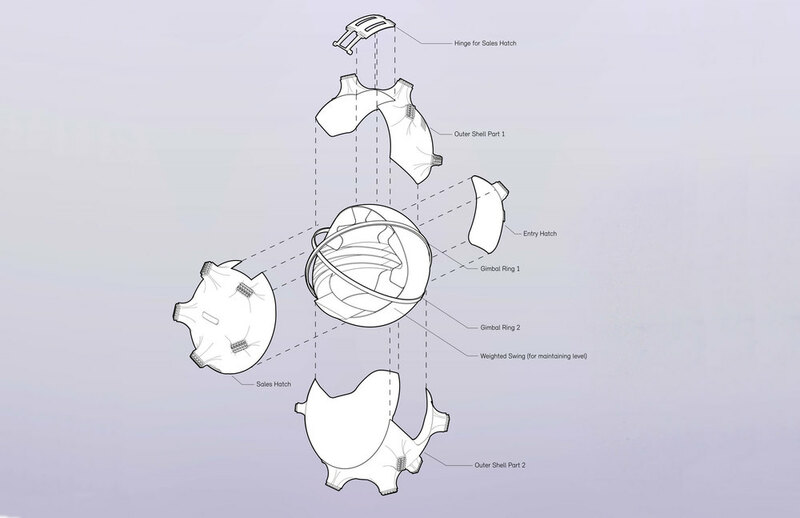 Even when tethered, the spherical form appears as it is ready to roll. The sleek gloss finish of the outer shell is held off the ground by its twenty legs stretched out, standing in balance. The sole of its feet are surfaced with a high-performance compound providing excellent traction allowing Rol-Lo to jaunt around, from the park, through the city, and along the lakeside.